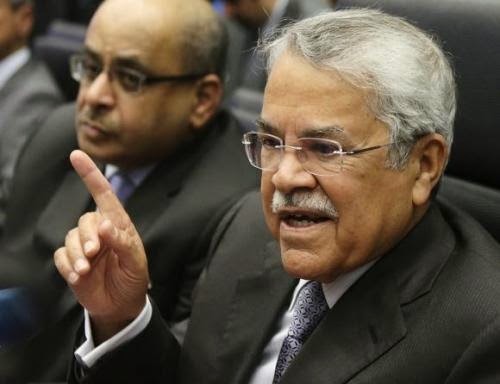 Saudi Oil Minister Ali al-Naimi told reporters on Sunday that Saudi Arabia will not cut its oil production to stabilize prices. Naimi’s remarks, made on the sideline of a conference in Abu Dhabi, and echoed by UAE and Kuwait’s oil ministers, were the strongest signal yet that the kingdom will not cut the output to prop up oil prices, even if non-OPEC countries do, and will instead attempt to ride the market’s biggest slump in years. Those strong words would almost certainly guarantee that the price of crude is not going up anytime soon. At the same time global demand for oil will tumble due to slowing down in the growth of the Chinese economy, and with Japan and Europe facing a recession. “The world is forecast to need less OPEC oil in 2015 because of a rising supply of U.S. shale oil and other competing sources, with no significant increase in world demand growth,” Reuters, quoting experts, reported today. for the economies of most of the nations of the world a couple of years of cheap oil will be very beneficial. for the economies of Russia, Venezuela and Iran it will be disastrous. Prince Bandar during his last visit to Moscow proposed that Russia abandon Assad and Iran in exchange that the SA will buy Russian weaponry and that the SA will guarantee price of oil for the long future. So today Russia and the Islamic Republic are facing that "....or something else..." situation.